Beautiful view. Good size space. Very friendly hosts. It was a beautiful location and Anna could not do enough for us. She and her family are very kind and spent time for a little chat when they could. Anna waited up until nearly 12.30 am to give us our keys (due to late plane delay and then getting lost in car). she was immediately very hospitable, giving us a drink and telling us a little about the location. We did not have breakfast, due to the fact that we are late starters in the morning. We did however have a wonderful traditional beef dish, all cooked by Anna. It was quite delicious. Absolutely stunning views from our balcony. Plenty of time to rest, relax and feel comfortable. beach just a few minutes walk away, village very old but interesting. An amazing holiday. The location was great. Anna was lovely. The main bedroom had a great view. Away from croweds, but still very close to the main beach. Nice view from upfront terace of 2 bedroom appartement. 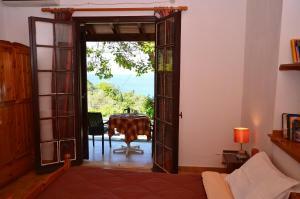 If you look for quiet simple place for your holiday, this is the one! 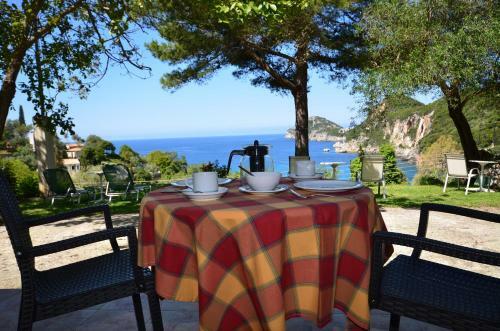 Anna Pension exceed our expectations, the location, the apartment and the facility were absolutely great. But the vacation was not as good as we had unless Anna and Kostas, they explained us where we can find the best places on the island and help us with everything that we needed, big and fresh breakfast with variate of local food and drinks. Highly recommended! Everything about the stay in Anna's Pension was lovely it was so scenic and the pension was lovely and comfortable and the views are heaven. Anna and kostas were very welcoming and such lovely people. Sitting on the patio overlooking the gorgeous beach everyday was blissful. 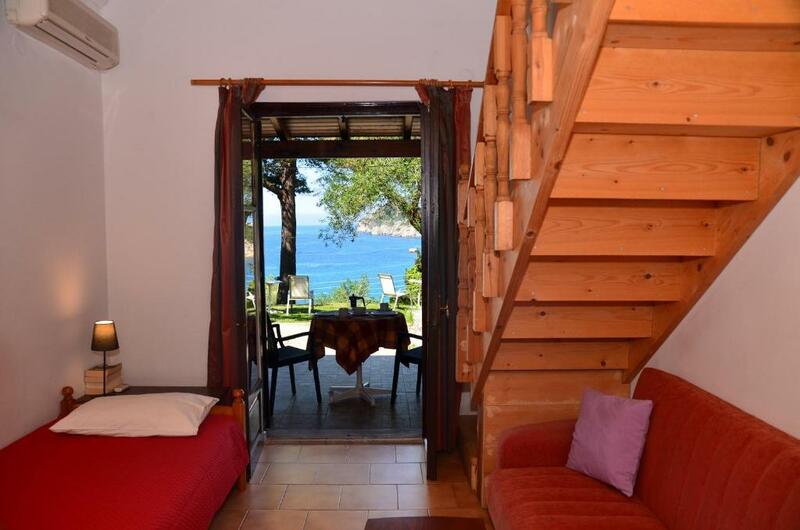 Wonderful sea wiew, close distance to the beach, terrace and French door allows you to feel as you are directly on the beach. The host was very kindly and responsive. The view from apartments is very picturesque. Everything was great - spectacular view from the patio of the apartment, proximity of pebbly beach Liapades (ca 150m), nice and helpful owner Anna. Our apartment was really big, consisting of two bedrooms (every with bathroom and facing to the bay) and well equipped kitchen. Superb value for that money. The closest restaurant The Cricketer Taverna serves very good meals. Liapades is a great point to visit many interesting places and beaches in surroundings. Lock in a great price for Anna Pension – rated 9.2 by recent guests! 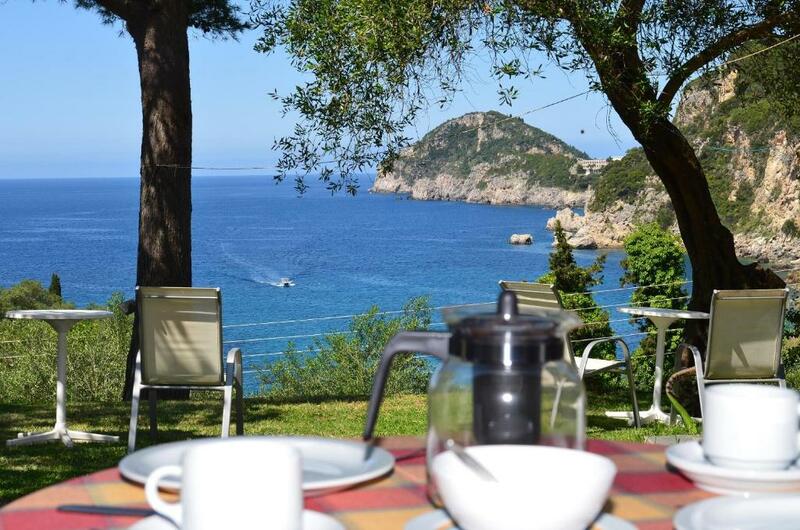 One of our top picks in Liapades.Located on the hillside of the picturesque village of Liapades, Corfu, Anna Pension offers self-catering apartments overlooking the beautiful Liapades Bay. Free Wi-Fi is available in public areas of the hotel. Each of the light and airy apartments has modern amenities and a fully-equipped kitchen. If you prefer to dine outdoors, Anna Pension also provides BBQ facilities on-site. Anna Pension is an ideal location for those looking for a peaceful base, surrounded by beautiful views of mountains and sea. The village square is a short walk away from the accommodations and here you will find plenty of cafés and taverns. The beach is only a 5-minute walk away from the accommodations, with plenty of water sport activities and boat excursions to neighboring beaches. 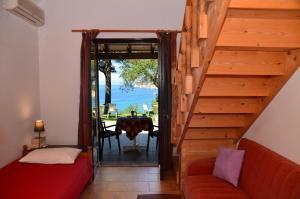 This property also has one of the top-rated locations in Liapades! Guests are happier about it compared to other properties in the area. 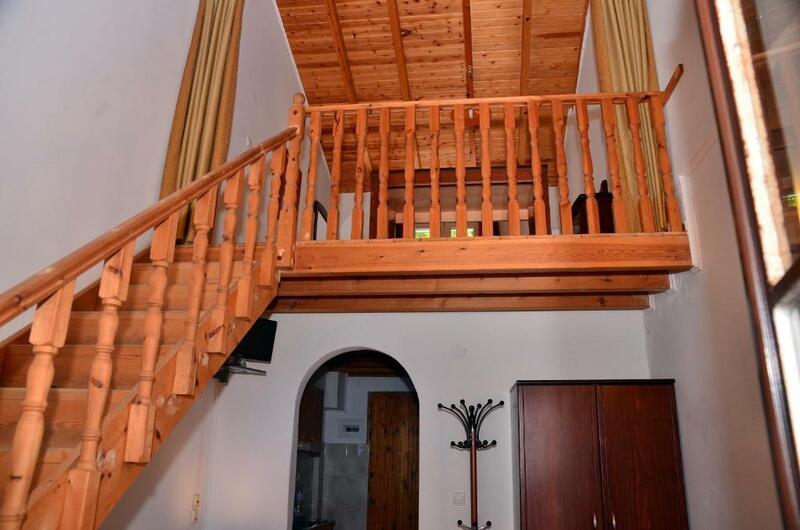 This property is also rated for the best value in Liapades! Guests are getting more for their money when compared to other properties in this city. When would you like to stay at Anna Pension? 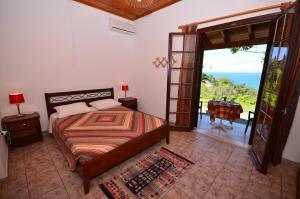 Overlooking the beautiful Liapades Bay, this air-conditioned apartment has a well-equipped kitchenette and TV. 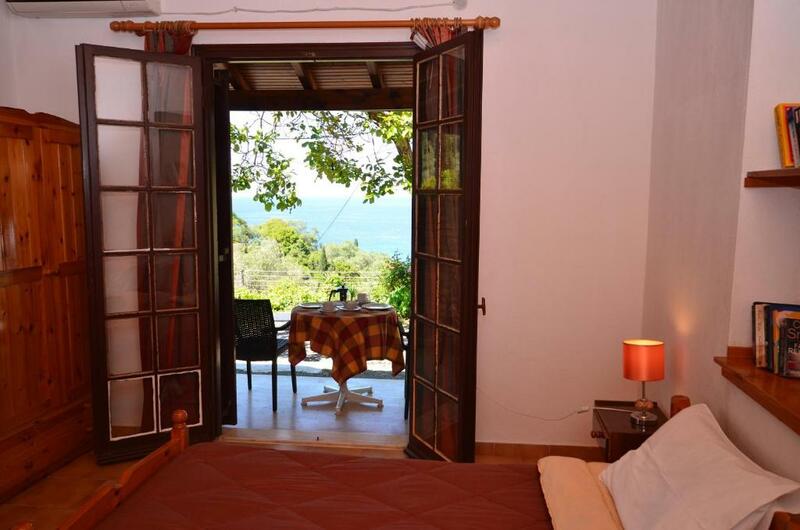 This twin room has air conditioning, sea view and balcony. The room does not features a kitchenette or fridge. A kettle and kitchenware are available. I am Kostas Repoulios. I was born in Corfu and I have been offerring my services in the tourism market for mora than 20 years. I love what I do and this is what I know how to do best. Near our studios you will find nice tavernas with fresh and traditional food, the beach is only 100 meters away, and in general it is a very nice and quiet area. House Rules Anna Pension takes special requests – add in the next step! Anna Pension accepts these cards and reserves the right to temporarily hold an amount prior to arrival. Please inform Anna Pension of your expected arrival time in advance. You can use the Special Requests box when booking, or contact the property directly using the contact details in your confirmation. The living room was a bit dark and dingy. Initially difficult to find in the dark in a hire car! Lovely apartment and owner . Maybe only that apartments could be renovated in the future. It was our third time at Anna Pension. So it speaks for itself! We have always been happy there and can't wait for our next time. Anna and Kostas are kind and friendly hosts. 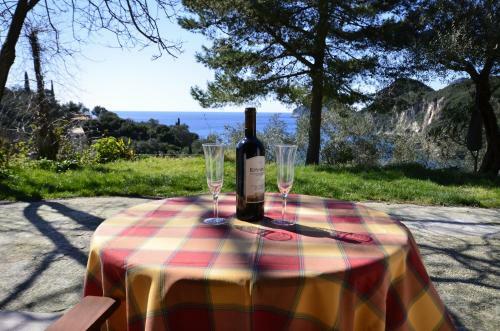 The location is superb - a private place with a splendid view overlooking the Liapades Bay. Wonderful place to stay. 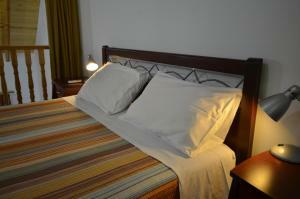 Comfortable rooms where you can self cater if you wish or walk to some great tavernas close by. Fabulous views and very helpful hosts.